When you were younger, losing a tooth was a rite of passage and done with some jiggling or even a string around the tooth and pulling! As an adult, tooth loss isn?t as fun and sometimes necessary. Dr. Peyskhov, Dr. Turkenich and the experienced staff of Crosspoint Family Dental offer tooth extractions at their office conveniently located near Billerica, MA. We hope that when you leave our office, you’re smiling with a boost in confidence. Infection or Abscess – If tooth decay or damage makes its way to the center of the tooth (this contains the nerves and blood vessels) bacteria in the mouth can enter that space and cause infection. Extraction is needed to prevent the spread of infection and relieve pain. Advanced Peridontitis – This is the final stage of gum disease. In this case, the fibers and bone that support teeth are destroyed, causing them to shift or loosen. This can affect your bite and if aggressive treatment can?t save them, teeth may need to be extracted. Teeth may be extracted to make room for an orthodontic procedure, if they are malpositioned, fractured teeth or roots and severe decay. 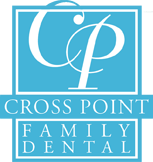 In all situations, seeking care from one of our highly experienced dentists at Crosspoint Family Dental is important. Following teeth extractions, pain and discomfort is to be expected. This can be minimalized with a pain reliever and ice applied to the face for fifteen minutes at a time. This should lessen within three days but can take up to two weeks. Call our office if you are experiencing prolonged or severe pain, swelling or bleeding.